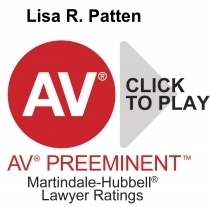 Contact the Patten & Associates: Family Law Attorneys in Orlando, Florida today to discuss your legal needs. There are several occasions and situations that require the intervention of a family and divorce attorney. It does not necessarily have to be only when situations turn ugly. In Orlando, like in many other places, families are sacred and so are issues concerning the family. This is the more reason for the need to employ the services of a skilled Orlando family law attorney or an Orlando divorce lawyer, as the case may be. Due to the importance attached to family and the delicate nature of issues that can arise within the family, you need nothing short of the best in Family and Divorce law. You need a family attorney that understands that the matter at hand is about the most basic part of your life – your family. Moreover, you need to enlist the services of such lawyer early in the game. The Orlando family lawyer can play various vital roles in your family issues. Your Orlando family and divorce attorney must basically have the facts of the case, understand these facts as they concern their client, establish goals and strategies and of course, steer the case to a successful execution. They can act as a family adviser in various circumstances. Sometimes, the best decisions in family disputes can come only from a seasoned family attorney. You need them to guide you concerning your obligations and rights. If you are residing in Orlando and encounter any family issues, it behooves on an Orlando family lawyer to help you untangle that quagmire. It is with their expertise that they will decide whether to quench the inferno or to rekindle the embers. They know when best to aggressively pursue a matter to a logical end through court proceedings and when to seek alternative dispute resolutions. Your family and divorce attorney must have your best interest at heart in order to secure a positive result for you. They owe you the duty of protecting your rights every step of the way, while also keeping you well informed at all times during the entire process. An experienced Orlando family law attorney should be well versed in matters of mediation and issue resolution. These sensitive matters must be handled in such a way as to successfully resolve even the most intense disputes. Marriage, civil unions and domestic partnership. This includes entry and termination of legally recognized spousal and domestic unions. You have prenuptial and postnuptial agreements, marriage, divorce, post-divorce amendments, annulment, child support alimony and the likes. Juvenile law which focuses on issues involving minors like delinquency and status offenses. Child protective proceedings in child abuse and child neglect cases. Paternity matters involving the establishment of the paternity or otherwise. Time sharing and parenting issues. There are of course issues involving child custody and visitation, and child relocation. In any dispute involving your family in Orlando, seek the counsel of an expert and sensitive family and divorce lawyer. You need a clear direction and guidance right from the onset so that issues do not unnecessarily get out of hand.